Call us sentimental, but we can’t let go of the past—literally. 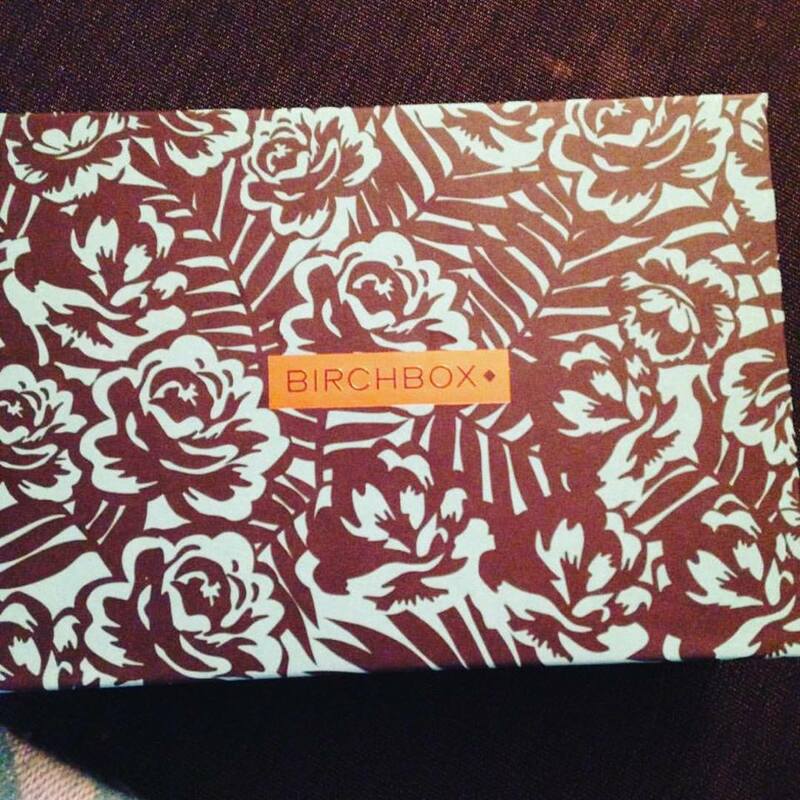 We’ve got a Birchbox Vault where we store amazing Birchboxxes from the past. And this month, we’re giving you the keys. I’ve always wondered what the BirchBox beauty vault looks like, I bet its perfectly organized by product and color. Kind of like a candy store for adult ladies, but prettier and more useful. The mystery box is $10 and if you can part with 100 Birchbox points it will be free. I had some points to burn so I thought why the heck not, I confirmed my order and waited for my mystery box to arrive. I didn’t have to wait long my box arrived before my March box. Fast shipping is one way to my heart and Birchbox found its way in with free 2 day shipping for Aces. From the Vault Mystery Box: I got a box from November 2015. AYERS Body Polish – Pampering Sunrise: this body polish goes on smoothly and rinses off cleanly, leaving behind only soft, fantastic-smelling skin. Davines This is a relaxing moisturizing fluid: this formula adds shine, sublimates frizz, moisturizes, humidity-proofs, and preps hair if you’re using heat tools. ————————-> I am a huge Davines fan girl, I love love their shampoo and conditioner, however this is one product that is not in my wheel house. I will be handing this off to my coworker who regularly straightens her locks, I feel she will put this lovely product to good use. It does smell amazing, however its not for me, I let me curls hang free and never straighten them. 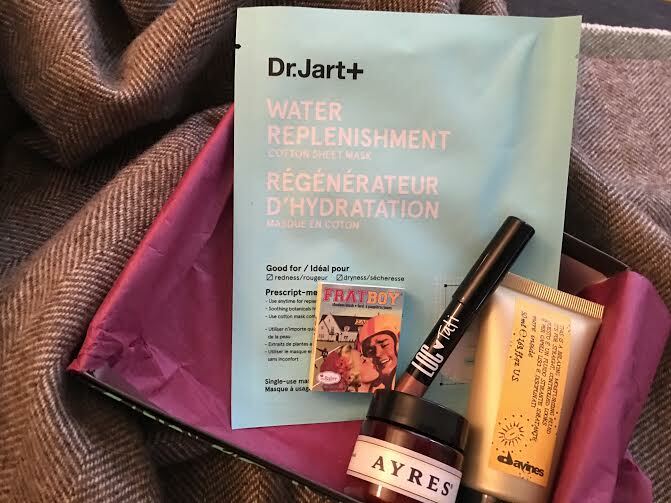 Dr. Jart+ Water Replenishment Mask: this refreshing cotton sheet mask is loaded with hydrating serum great for nourishing dry, parched skin. ————————————–> They had me at dry, winter temperature wise hasn’t been rough, the wind however has done a number on my skin and I cannot wait to give this a whirl. theBalm Cosmetics – Fratboy: this talc-free, finely ground blush and shadow formula gives skin a fresh radiance that makes you look, and feel, young. My mystery box was a pleasant surprise I will use all of the products except for the Davines. I had received a LOC shadow stick in a different shade and I am glad to have another one in my stash. I checked the site and there are still mystery boxes for sale, so go on now and go get yourself a little mystery. Get a FREE Mystery Birchbox from 2015 with any $50+ purchase in the Birchbox Shop. Boxes vary, but each features one of our exclusive Birchbox designs and five or more beauty samples from across categories. Also available as a stand-alone purchase for $10!